This project aims at improving the quality of electricity supply and the efficiency of electricity distribution grids. Thus, new insulating materials (silicone for insulators) will be developed, with improved properties based on the deep compression of deteriorating phenomena that the insulator experience during its life. 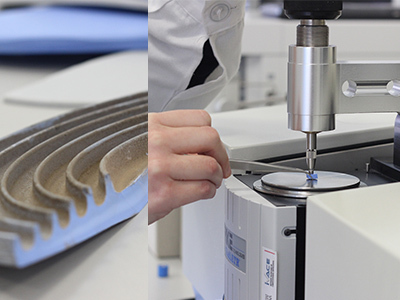 This advance will be accompanied by an integral experimental characterization procedure that ensures that materials are subjected to severe operating conditions under which it is possible to reliably evaluate their real life and the quality of the employed silicone. 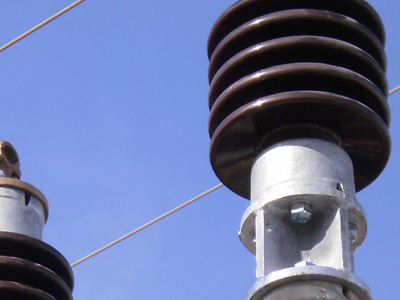 The main aim of the project is to obtain new insulators for high voltage lines and equipment with improved properties for environments with extreme operating conditions, where the processes of aging are more pronounced. Through the study carried out on the aging of insulators which worked in different working environments under extreme conditions, it has been possible to design an experimental process for the characterization of silicones. This allows determining which material works better in polluted environments. One of the most interesting characteristic of silicone is the recovery of hydrophobicity, which is fundamental in order to prevent faults in the insulators performance. In addition, insulators prototypes are being prepared using the new selected silicones. They will be tested in the testing station which simulates the conditions of a medium voltage overhead line. Finally, it is being developing a testing methodology that includes testing which are not covered by the current legislation. This project is led by POINSA, and ITE and IBERDROLA have participated in it. The project has been co-funded by the Ministry of Economy and Competitiveness within the aid Retos 2014.